Using resveratrol as an anti-aging antioxidant is becoming more and more popular. Numerous studies have been done on resveratrol as an anti aging antioxidant, both with positive and negative results. The reason that studies have both positive and negative results is that each scientific study is not the same as the last, different factors go into each study, which is going to cause the results of the study to vary. There is enough positive information from some studies to say that resveratrol is a very powerful anti aging antioxidant. One of the anti aging benefits of resveratrol is that you do not have to worry about obesity and heart disease, even if you partake in a high fat diet. The lower your chances of heart disease and obesity the younger you will look. How resveratrol works in this situation is that resveratrol, as long as it is in high doses, has been found to allow mice to eat a high fat diet without having any of the problems of obesity, the mice remained healthy, and obesity related deaths in mice dropped by 31%. This study was conducted by researchers at Harvard Medical School and the National Institute of Aging. Another study that was done on mice showed that receiving high amounts of resveratrol, mice had less weight gain, better physical endurance, and better insulin sensitivity, even with a high fat diet. Nevertheless, most importantly in other studies that were done resveratrol showed an increase in the life span of yeast, mice, and certain types of fish. Another anti aging benefit of resveratrol is that resveratrol is a powerful antioxidant, which also helps you appear younger. The reason for this is that antioxidants help rid your body of free radicals. 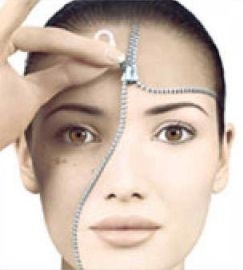 It is the free radicals in your body that make you appear older, they caused wrinkled and damaged skin. How resveratrol gets rid of the free radical sis by eliminating them through your body naturally, but it also repairs damaged cells. Free radicals take the electrons from healthy a cell, which turns the healthy cell into a free radical. Resveratrol and other antioxidants replace the missing electron, which makes the cell as good as new. The most powerful benefit of resveratrol as an anti aging antioxidant is how it can be used to treat diseases that are associated with growing older, which once treated can help increase the longevity of your life.